As part of our annual partnership, Harbers Studios commissioned MediaStorm, on behalf of ICP, to create a short film about the award recipients. The films pay tribute to each artist and demonstrate ICP's commitment to them. Since the first presentation of the films at the 2013 gala, ICP has skyrocketed its fundraising goals and achievements. MediaStorm is humbled to have played a role in catalyzing that effort. Our work with ICP and Harbers Studios affirms that storytelling moves people to action. 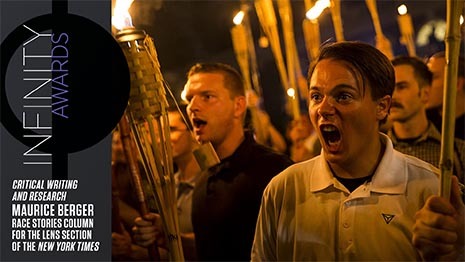 For MediaStorm, creating these films pays homage to our roots in photography and our aspiration for the field, that it continue being a force for change. This year MediaStorm produced films for the following winners: Lifetime Achievement: Bruce Davidson; Applied: Alexandra Bell; Art: Samuel Fosso; Artist's Book: Dayanita Singh, Museum Bhavan; Critical Writing and Research: Maurice Berger, Race Stories column for the Lens section of the New York Times; Documentary and Photojournalism: Amber Bracken; and Emerging Photographer: Natalie Keyssar; and for Online Platform and New Media: Women Photograph. This year’s winners are remarkable in the way that their work reflects the challenges facing our society as a whole. 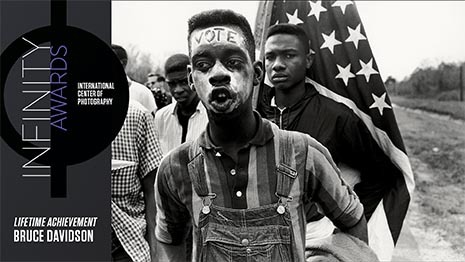 Issues like racism and access in the media and visual culture; America’s colonial roots; sexism in the photography world; violence in the aftermath of economic strife; and the veneration of whiteness in our society are at the heart of this year’s stories. Our challenge was to both reflect the problem as it presents in the wider world and then to focus on the ways in which this year’s winners chose to tackle them. For each film, MediaStorm developed a treatment and interview process that explored not just why each work was significant, but how we would convey its intent. We also pored over relevant news items and archives to tie those back to the work. The films premiered to great acclaim on April 9, 2018 at the ICP Infinity Awards at Spring Studios. The films are a critical fundraising tool for the organization, and pay tribute to ICP’s commitment to the craft. The films available here are the full-length pieces. We also created shorter versions to show at the awards ceremony. In a career that spans a lifespan, Davidson has used his camera to explore the world. From his iconic work “Brooklyn Gang” to “E.100th St.”, his work stands out for its intimacy with its subjects and long lasting impact. Watch it now. 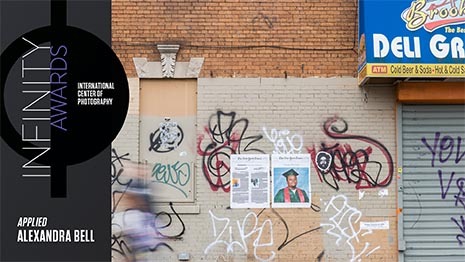 Culture historian and art critic, Maurice Berger, uses his monthly column in the New York Times to explore racial literacy through visual literacy. He uses the power of photography and the written word to urge his readers to think about their own racial attitudes and to reflect the works of photographers of color, whose voices are often not seen by the mainstream art world. Watch it now. Alexandra Bell draws on her journalism background to examine how words and images expose the media’s racial biases. In her signature work, Counternarratives, she re-imagines stories from the New York Times to create more equitable framings. Watch it now. Tired of being quiet about a problem that has long persisted in journalism, Daniella Zalcman sought to address the hiring gap between white men and women, and people of color. The result is Women Photograph. Watch it now. 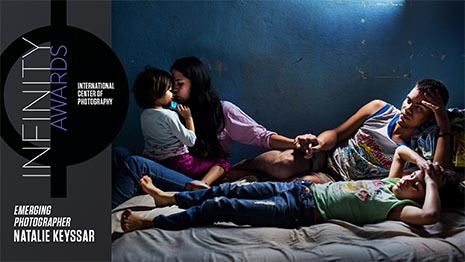 Natalie Keyssar has spent years documenting the consequences of unrest and economic turbulence in Venezuela in the aftermath of Hugo Chavez’s death. In her work, she explores the impacts of the violence on individuals and on society at large, demonstrating the effectiveness of the camera as a window to the world. Watch it now. For decades, Samuel Fosso has used self-portraiture to question political and social norms in Africa and America. 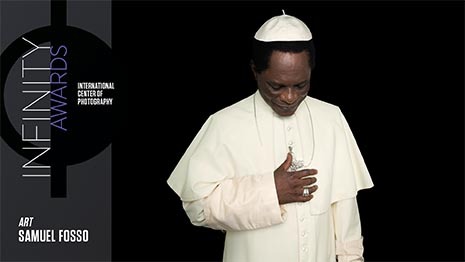 In his latest series, Black Pope, Fosso challenges the Catholic veneration of whiteness in contemporary visual culture. Watch it now. 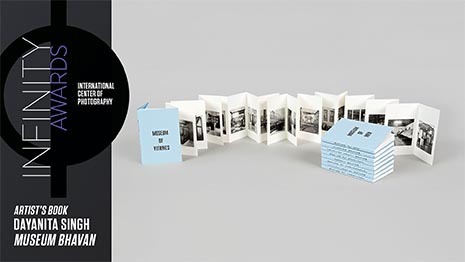 In her latest work, Museum Bhavan, Dayanita Singh seeks to put the power of curation into the hands of the reader, to make the work accessible to a broader demographic. The result of her work is an object that is personal, interactive and portable, and one she hopes will encourage other photographers to recognize the importance of dissemination. Watch it now. Drawn to photography in her quest for social justice, Amber Bracken, started working in the indigenous communities of her hometown, Alberta, Canada, to learn about their struggle for land rights. 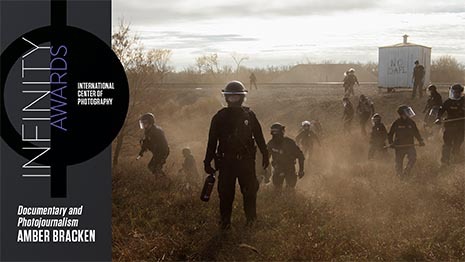 When she heard of protests in Standing Rock, she chose the camera as her weapon of choice to document a struggle for sovereignty. Watch it now. 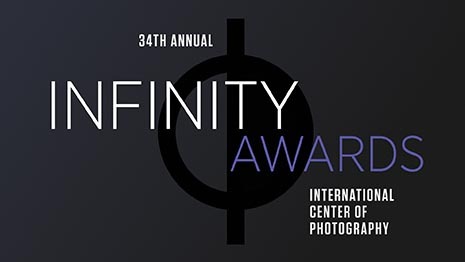 Since 1985, the International Center of Photography has recognized outstanding achievements in photography with its prestigious Infinity Awards.Watch it now.